Everyone knows what microwave ovens do, but not as many people know how they do what they do. They function because of their operating systems. Two such systems exist within every microwave oven: the electrical operating system that causes the oven to heat and cook food, and the computer operating system that translates directions from the controls to the electrical operating system. Understanding how these operating systems works requires an examination of the systems and their parts. A microwave oven's manual usually contains information about the operating systems. 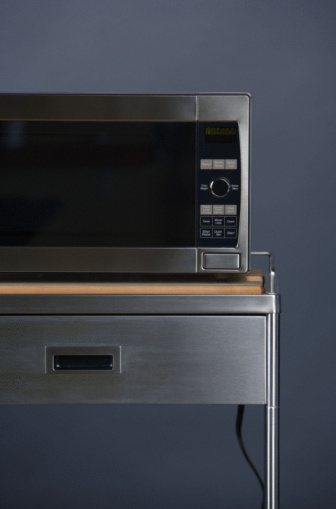 Microwave oven designers take advantage of the physical properties of food and electromagnetic waves. Basically, microwave ovens use electromagnetic waves to generate heat by moving water molecules. When caught in electromagnetic waves, water molecules move very quickly in a counterclockwise then clockwise motion, alternating back and forth at extreme speeds. This movement generates heat energy. When you place food in a microwave oven, the movement of water molecules within your food generates heat energy that causes the food to warm rapidly. The two operating systems within a microwave oven connect directly to one another through the path of electricity that flows through the oven. Power enters a microwave oven through a power cord in the form of electricity. A series of fuses within the oven moves this electricity from the power cord to the computer system. The computer system relays information through a switch called a triac, which works only if all of the fuses and switches translating electricity throughout the oven operate properly. The triac helps to protect a microwave oven's electrical problems. If everything works properly, the triac turns on the oven's high-voltage transformer, which generates the electromagnetic, or micro, waves that cook food. 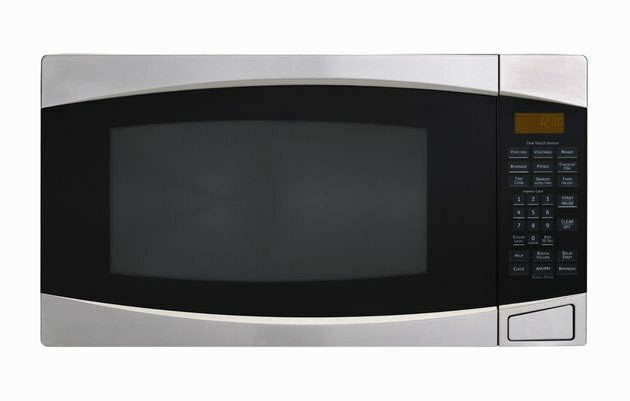 Technically regarding computer technology, microwave ovens contain embedded systems, not operating systems. An operating system handles a large framework of commands and functions, such as those required by a computer with multiple programs. An embedded system, on the other hand, performs a very specific function. These systems contain a single program that executes all the functions required. Embedded systems exist in other simple computerized mechanisms, such as remote controls and washing machines. The embedded system in a microwave oven works as a command device. It is designed to take directions from the keypad and turn them into commands. If, for instance, you program a microwave oven to operate on high for two minutes, the embedded system triggers the high voltage transformer to operate on full blast for two minutes. When the two minutes expire, the embedded system commands the transformer to turn off. Because the embedded system does nothing more than translate simple commands, it contains relatively simple programming. Do Microwaves Have a Computer in Them?